Pregnancy is a wonderful time but it can be taxing on your body. While you take care of your growing baby this can take its toll on your shoulders, lower back and legs. Aches and pains and heavy, tired legs are common. Blissful Mama prenatal massage helps to alleviate the tiredness and soreness that you might be experiencing. You’ll be supported in a comfy side-lying positions with lots of pillows so there’s no pressure on bump or your back. This is a deeply nurturing treatment, a fusion of massage techniques. 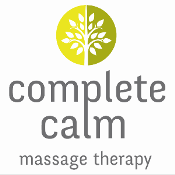 All designed to soothe, calm and ease tension and aches. Feel pampered and nurtured. You’re nurturing Bump 24 hours a day so why not take time out for a bit of relaxation for yourself? You’ll feel restored and rejuvenated. Great for heavy, tired legs and aching lower backs and shoulders. Includes face, head, back, neck, shoulders, legs, arms and feet. All treatments are tailored to you. Treatments start at £35. To book this pampering time out for yourself call 07931999477 or click here.